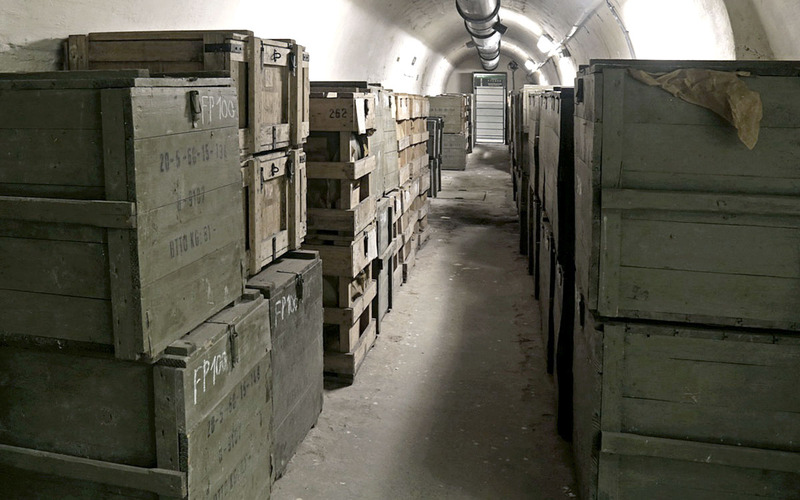 Back in the 1950s/1960s, nuclear fallout shelters were all the rage. 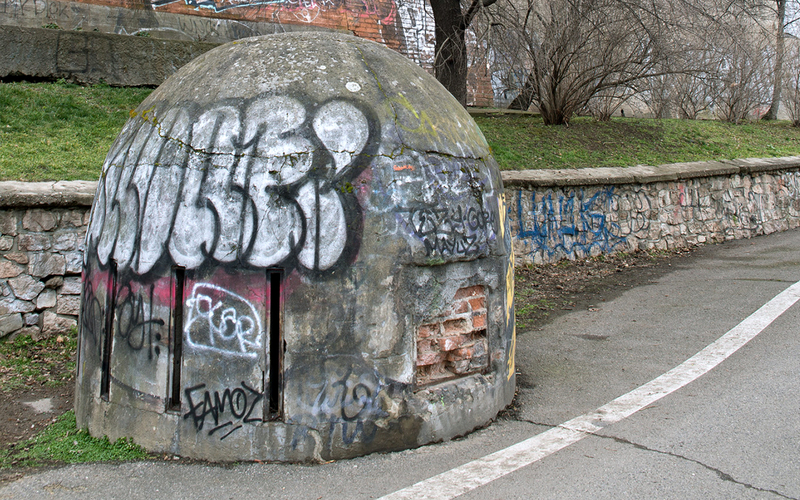 The Folimanka Shelter is the largest one in Prague 2. 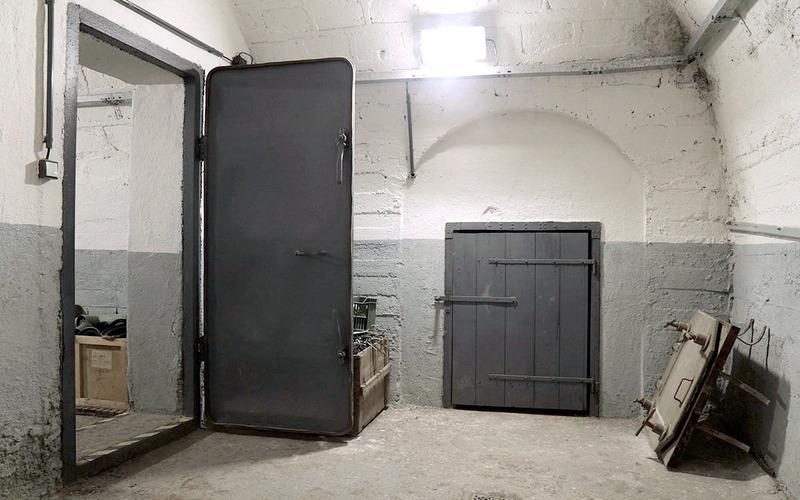 It has a capacity of 1.300 people, an area of 1.332 m², armoured door, water wells and a 32kW electrical generator. 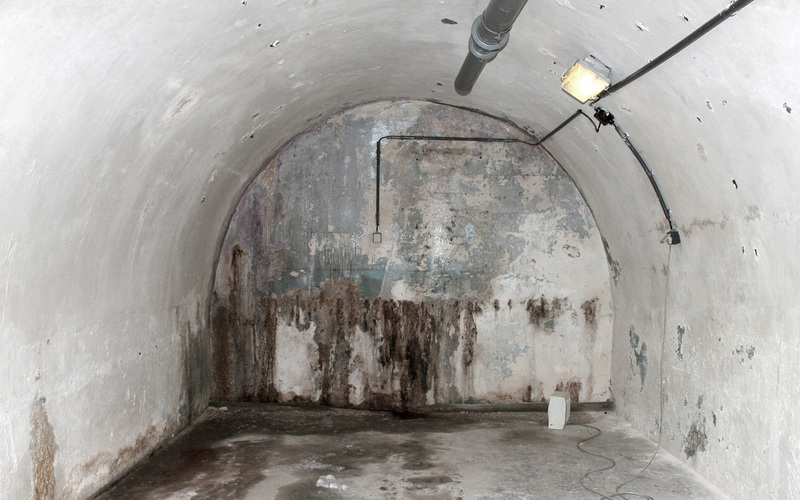 The shelter is a labyrinth of tunnels with various rooms. 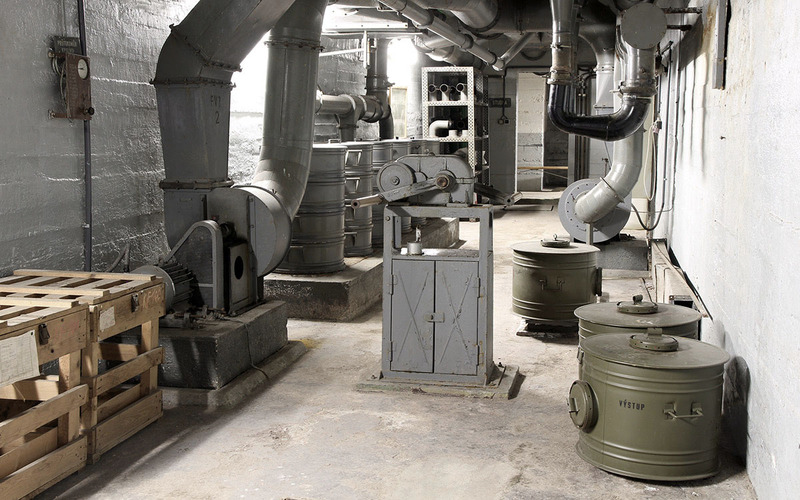 There is still old plant and machinery down there for water, air filtration and electricity supplies. 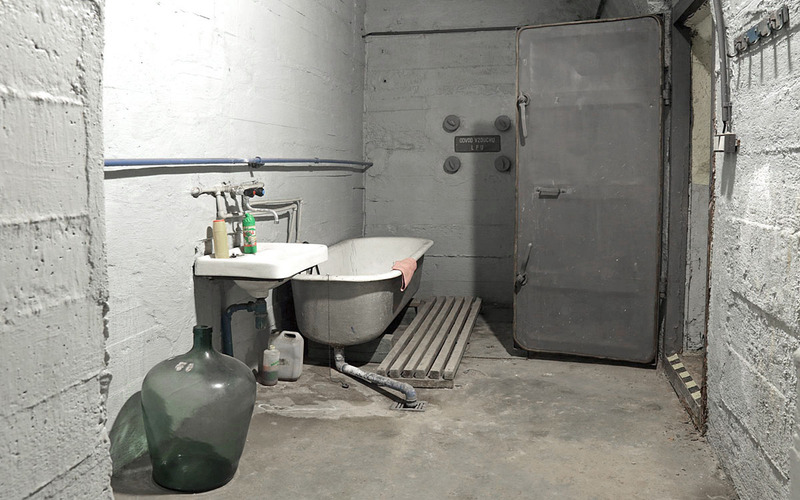 There are a few rooms set aside for showers and toilets. 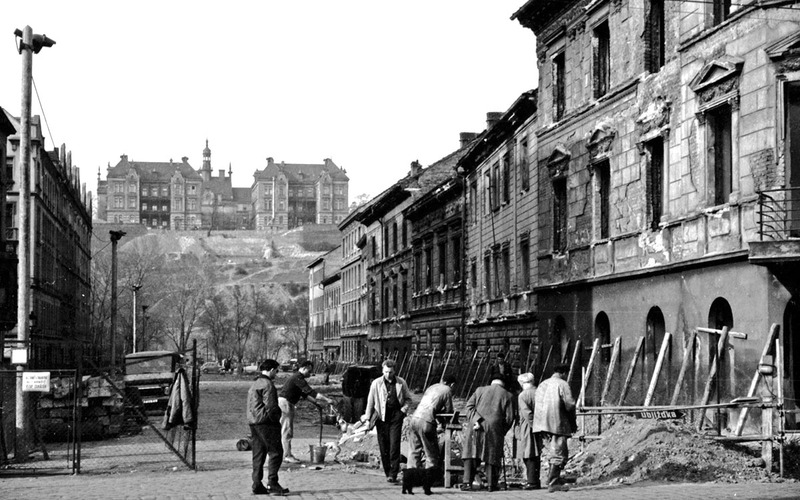 The main entrance to the Folimanka Shelter is located in Prague 2, at Pod Karlovem Street, opposite the building no. 2. 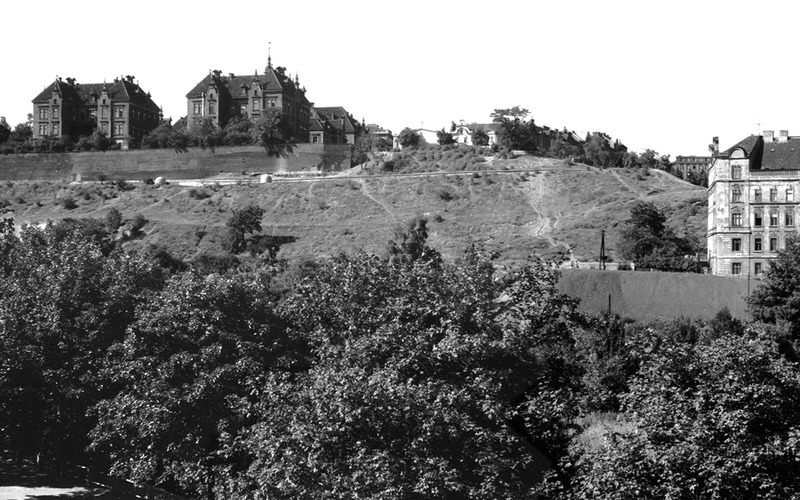 Nearest tram stations Pod Karlovem or Nuselské schody (line no. 6, 11). 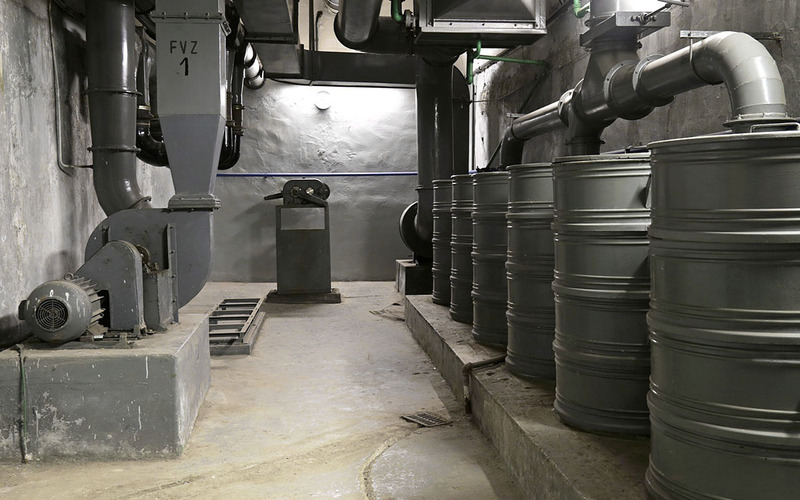 Two large water storage tanks are situated at the rear of the room. No public access. 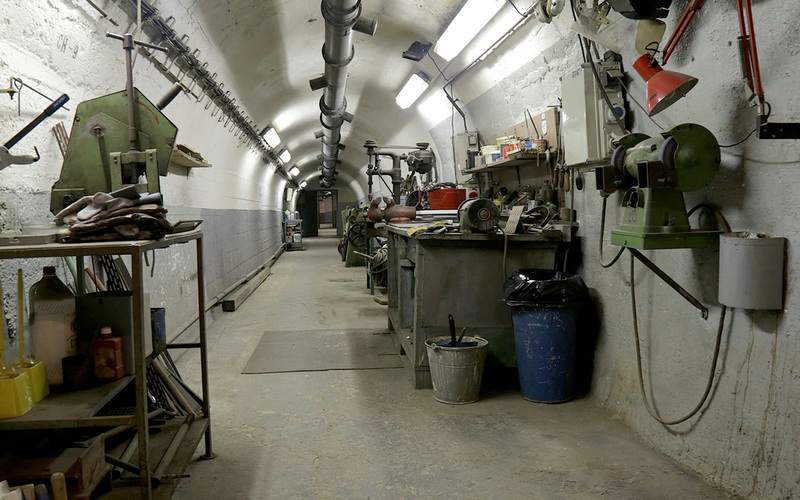 Used by Prague Services Administration as the maintenance room. The Oxygen Filter System II. is situated at the rear of this room. No public access. The initial toilets and plumbing system are still in working order. 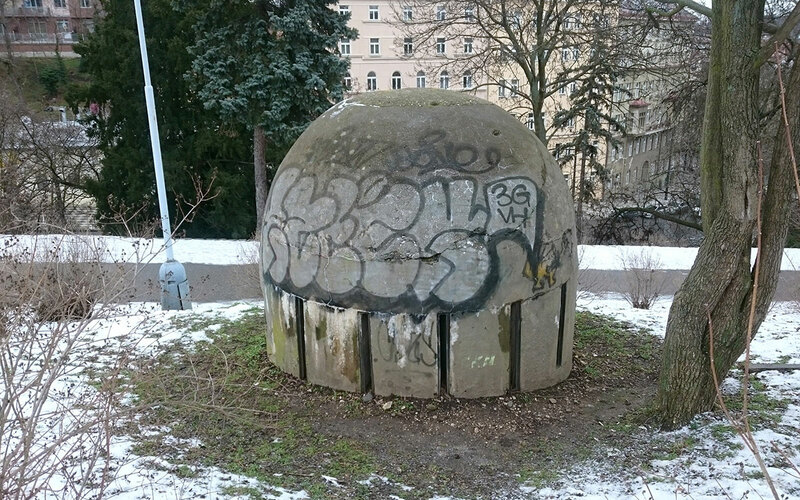 A ventilation shaft leading to a dome shaped blast proof and sealed emergency exit. 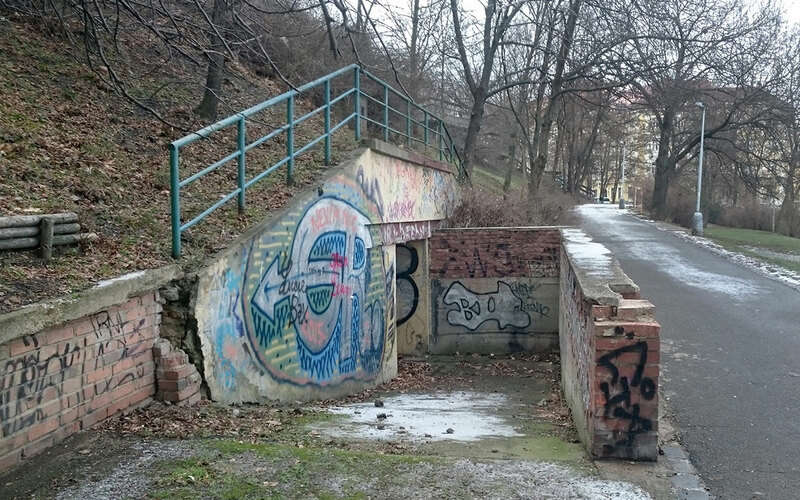 The exit to Bělehradská Street is currently bricked up. 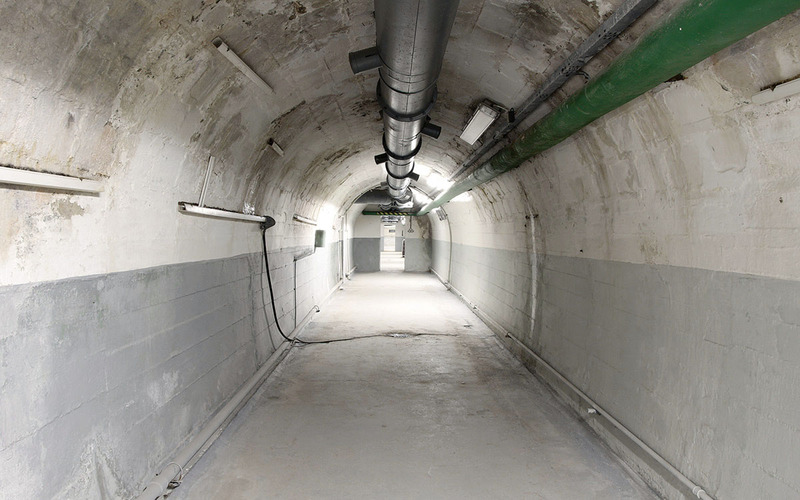 A dust chamber that leads to Air Filtration Chamber I. Air Filtration Unit I. The device delivers up to 1.000 m3 of air per an hour. 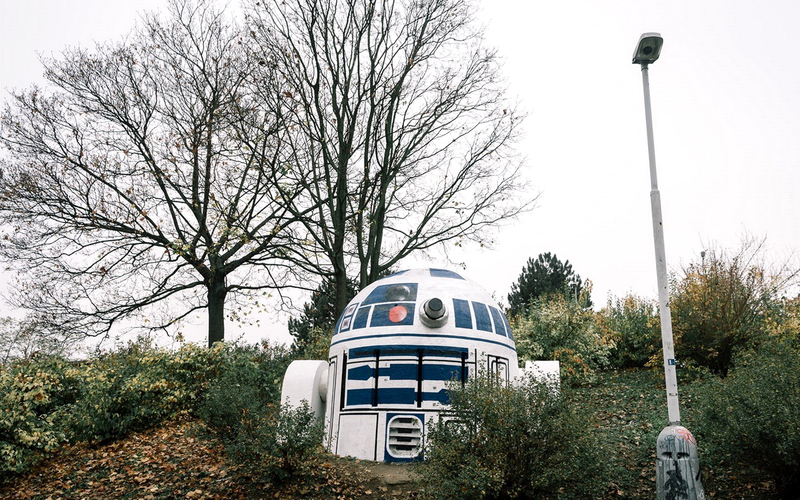 The filters retain dirt particles, dust, and some chemical warfare agents. 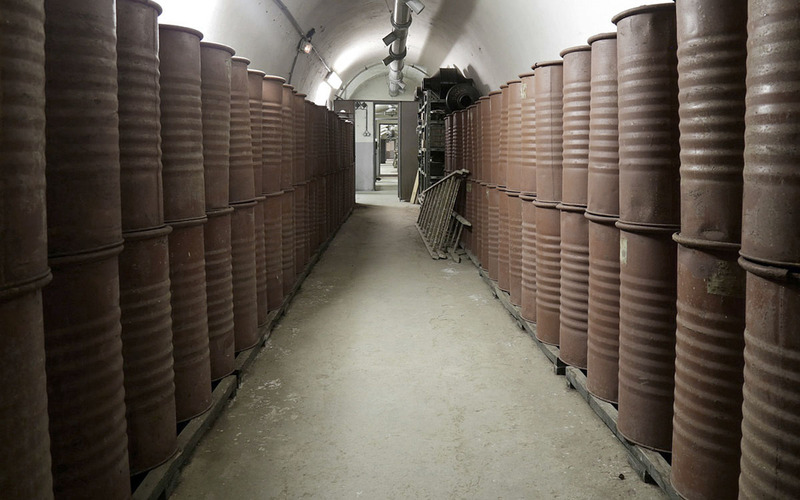 Carbon dioxide absorbs active lime inside the cylindrical tanks. The provisional first aid room serves as a treatment and rest area for injured, bleeding, or ill persons. Storage space for technical hardware. No public access. In an emergency people sit on benches set alongside the walls of the corridors. Each person has 0.8 m2 of floor area. The shelter can hold 1.260 people and its stocks would allow people to survive up to 72 hours. 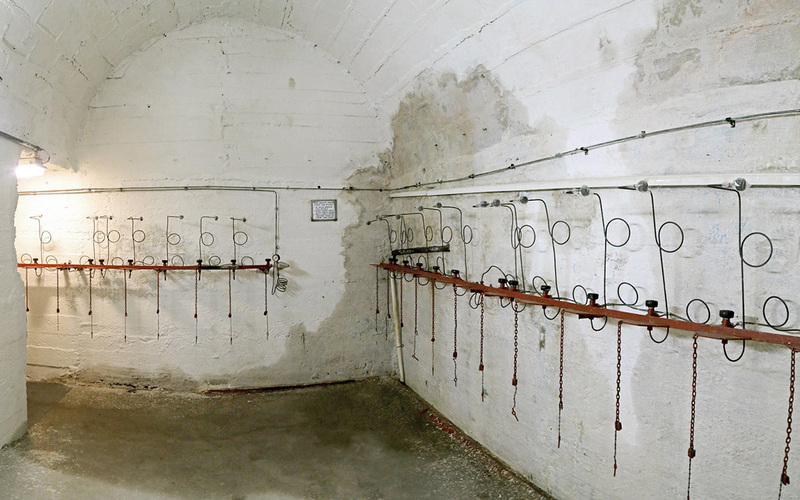 Filtration units II. and III. These supply up to 1.000 m3 of air per an hour. The filters retain dirt particles, dust, and some chemical warfare agents. 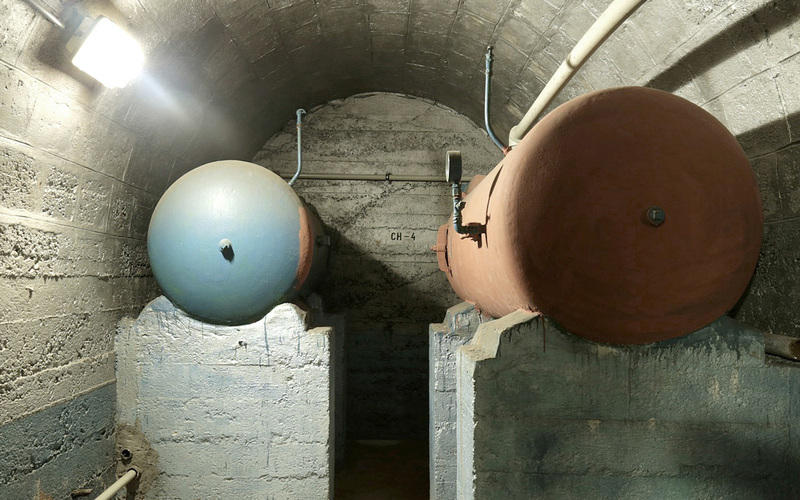 Carbon dioxide absorbs active lime inside the cylindrical tanks. 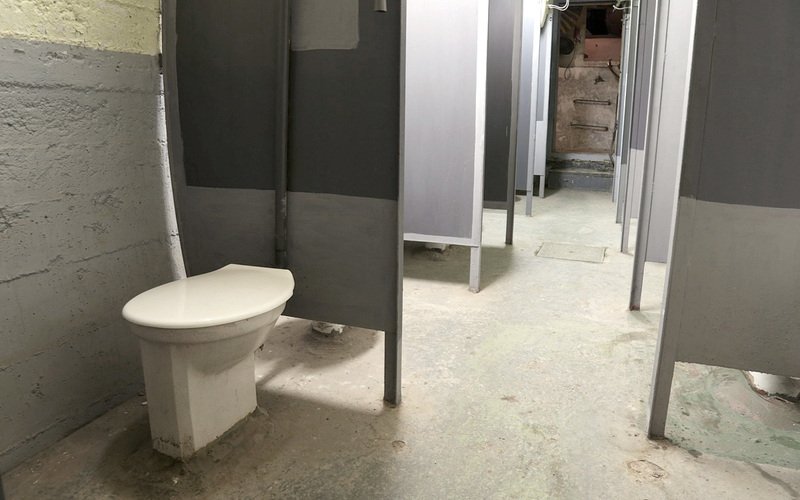 The initial men’s toilets and plumbing system are still in working order. 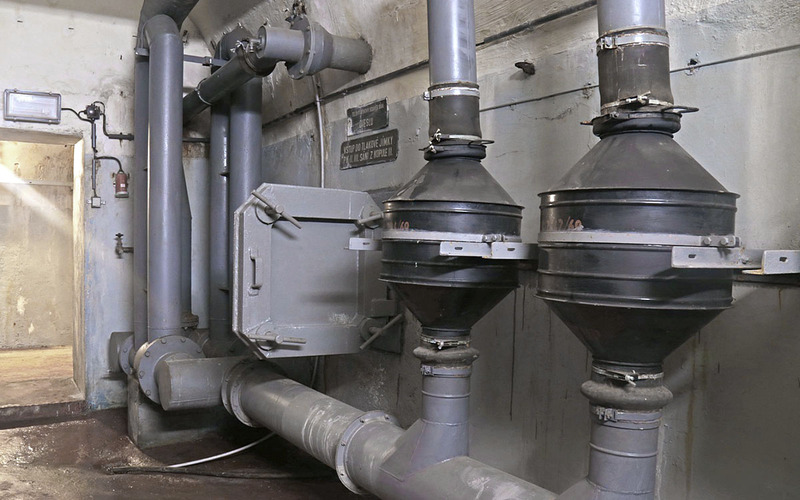 A ventilation shaft leading to a dome shaped blast proof and sealed emergency exit. The dome is located near Nusle Bridge and the exits is currently bricked up. 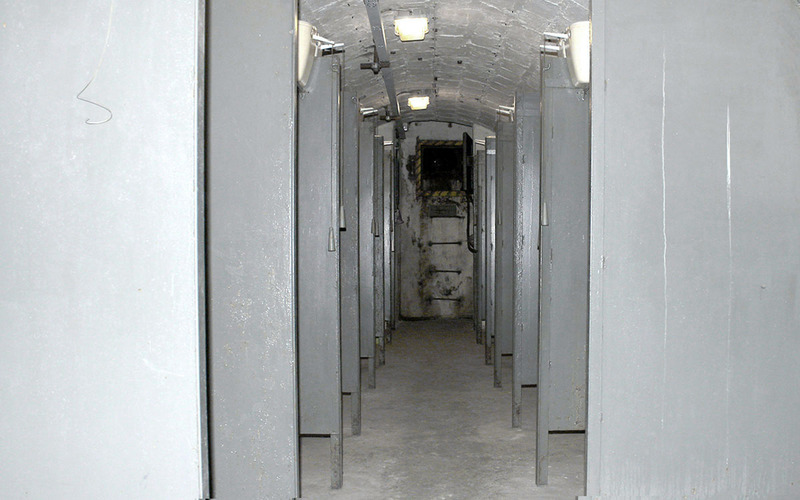 People entering the shelter after being exposed to an attack outside must shower and go through the sanitation area before moving further on to common area. Currently being used as storage space. No Public Access. 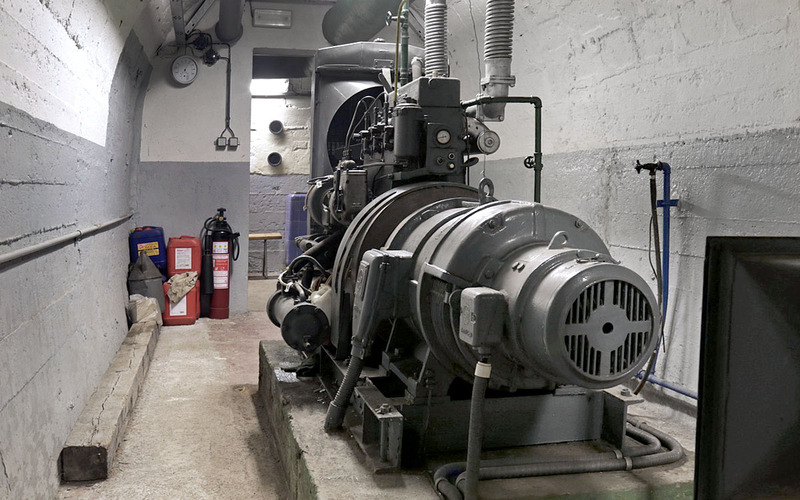 A power generating system with a Škoda three-cylinder diesel generator (manufactured in 1955) that has an output of 32 kW and a fuel storage tank with a hand transfer pump. The system assures full operation of the shelter’s lighting, water supplies, and ventilation filters. 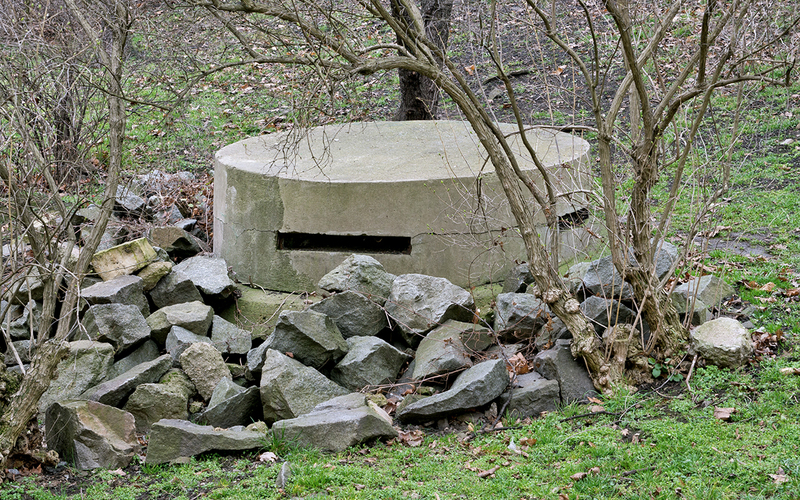 A dust chamber leading to the filtration units II. and III. Dust and collective filters. Air suction system from dome and entrance to pressure tank. Also diesel generator exhaust system. Storage space for technical maintenance hardware. No public access. 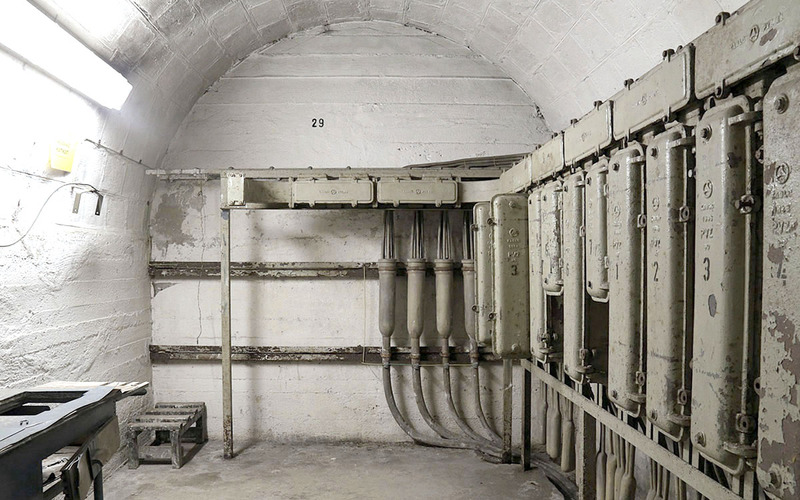 Provisional morgue. 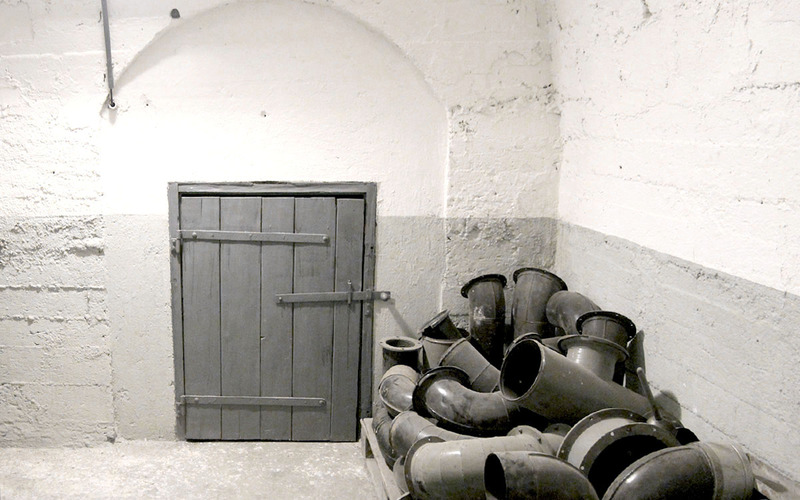 Each room can hold up to 10 bodies, which are then covered with lime. 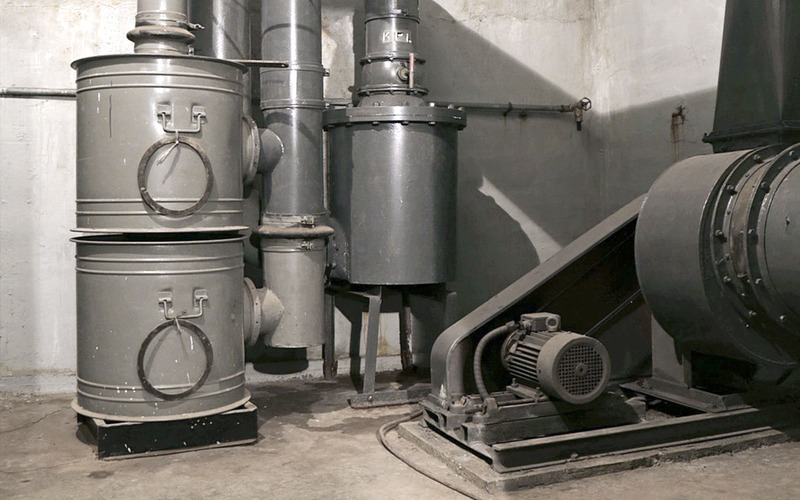 An area for oxygen cylinders that are connected to the air filtration system and ensure oxygen levels of inhaled air remain at 21%. 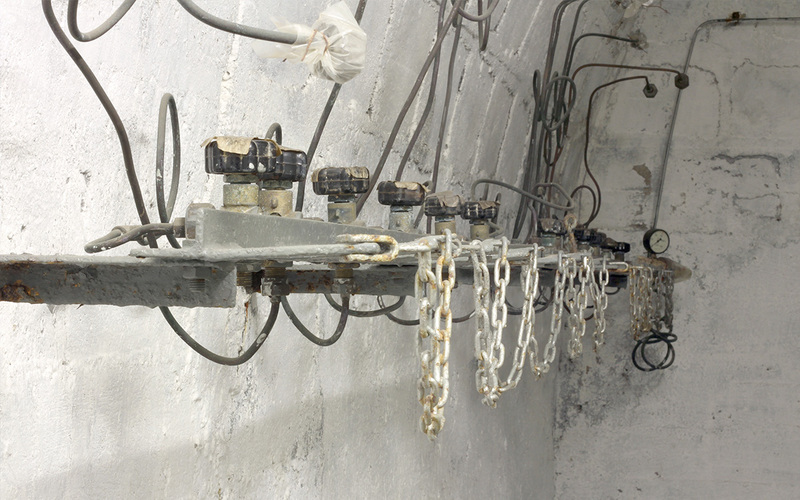 A cable telephone switchboard that required two skilled operating personnel. Unfortunately, it is nolonger in working order. Today, walkie-talkies are used for communication. From the lookout area one can evaluate the current situation above ground. 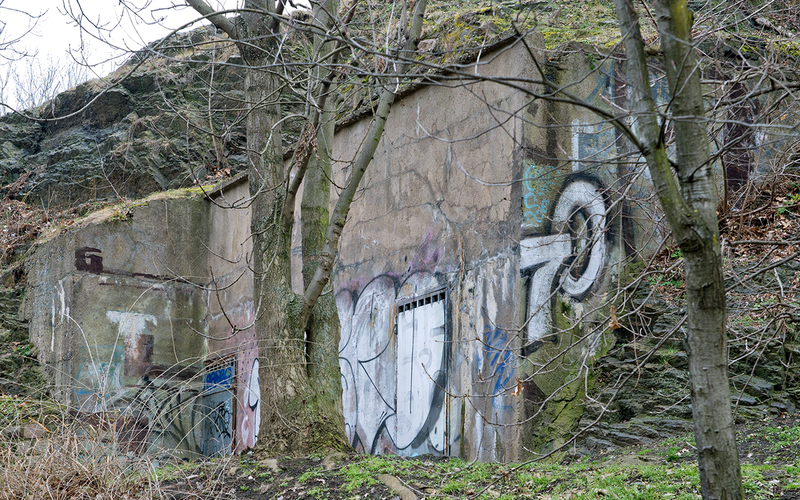 An emergency exit that leads into Bělehradská Street. Closed at present. The tour ends here.